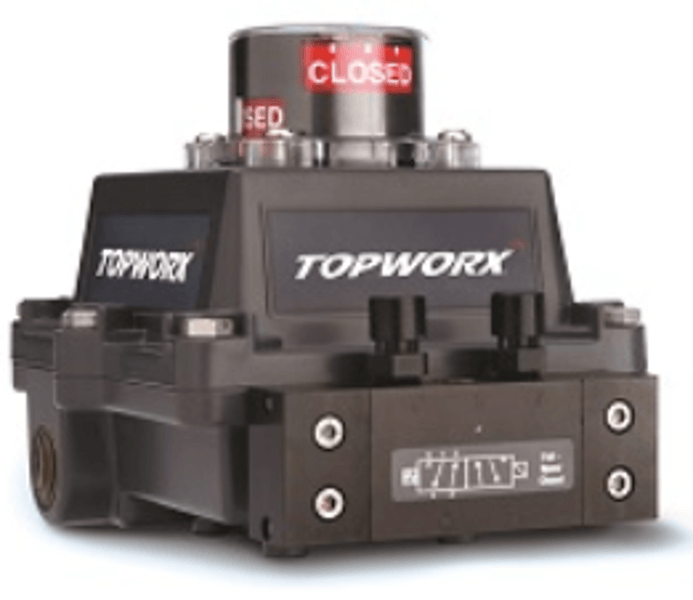 Contact us today for your automation accessory solution requirements - TopWorx. Emerson discrete valve control and position sensing technology provides absolute assurance in the most challenging applications by increasing process efficiency, profitability and success. Highly reliable final control technologies to help you regulate and isolate your process with certainty. As leaders in valve monitoring and position sensing, the TopWorx and GO Switch product portfolio will help you accomplish this goal. Our inventory of TopWorx Valve Position Indicators, TopWorx Discrete Valve Controllers, TopWorx DXPs, TopWorx DXPL21s, TopWorx DXPM21s, GO Switch position sensors, GO Switch Proximity Sensors & Limit Switches, GO Switch Special Applications and Wireless Position Monitors allow for fast service, and quick availability. Our vast supply includes top rated products that comprise of Emerson TopWorx and Emerson GO Switches. These items are available for sale from our 40,000 square foot - Edmonton, Alberta warehouse for Western Canada - including British Columbia, Alberta, Saskatchewan, Manitoba, as well as Eastern Canada. (Product availability is territory dependent) Contact us for your automation solutions.